Despite how I make it seem here, I am not a perfect food preserver. Sometimes my recipes don’t work out, my yields are way off, I don’t have enough jars ready or I wait too long to make something and discover that my lovingly chosen product has gone bad. Most recently, I was defeated by some tomatoes. Back in September, I ordered 50 pounds of tomatoes, planning to use most of them for a class I was scheduled to teach. However, the order was delayed and I didn’t get the tomatoes until after the class. Instead of coming home with 20 pounds, I had the full 50 to deal with. 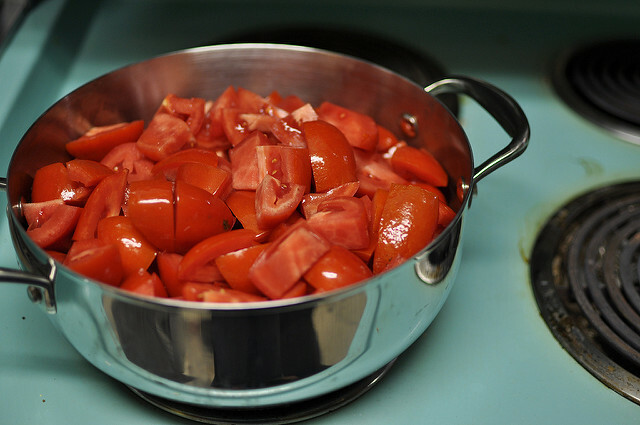 By this point, I’d already canned more than 75 pounds and was sort of done with tomatoes. The smart thing to do would have been to accept that I just wasn’t up to the task and give some of them away. But I thought I’d be able to do it all. Instead, they withered. Some rotted. I made a few small recipes, but really didn’t make a dent. Finally, through attrition and just a little preserving, I only had enough to fill a crisper drawer. I needed the space and I wanted to stop feeling bad about these damned tomatoes and so I cooked. I chopped away the bad parts and cubed up the rest. I threw them all into a pot and simmered them until they were tender. Once the were soft, I pushed them through a food mill, returned the puree to the pot and cooked it down until it lost its watery look. Then I canned what remained in two lonely pints. It is far, far better than nothing (though I still mourn the wasted tomatoes). I think there are lessons in all of this. A reminder to keep my purchases manageable. That there’s no shame in asking for help when I’m overwhelmed (with produce or otherwise). That there’s little that feels more cleansing than getting out of my head and taking action. And finally, that beating myself up when I don’t live up to my own expectations does no good. 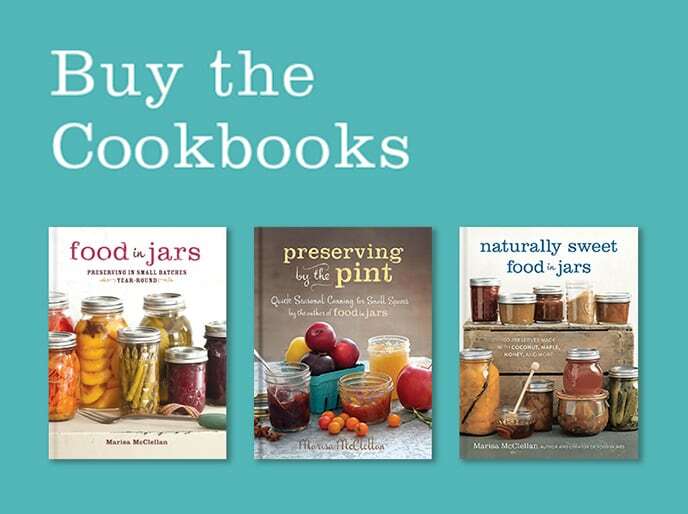 Have any of the rest of you learned life lessons through canning recently? I’d love to hear them if you’d like to share. I could be your canning twin flame.. I do the same on occasion. This year it became very obvious to me that I overextend myself in huge ways in the summer. oh totally. I’ll put gardening in there too, actually the trinity of growing-cooking-preserving all of our food. finally, this summer I had to acknowledge that I was completely over-extended and that my gardening, cooking and preserving we’re meant for better health and the great enjoyment it brings me. somewhere along the way it turned into stress and another bunch of must do’s on my endless lists. I made the decision to let a few things go – I hardly canned all summer – and realized I needed to work on nurturing myself in ways that lessened stress and brought enjoyment. what that meant for me was not always, always, having to be productive. allowing myself to just do what I feel like doing or sometimes even nothing at all (gah!) is a constent learning for me. but I’m trying! I don’t want to say I take pleasure in your distress (or yours, Tigress), but it is comforting to know that those with more experience and skill than myself have these sorts of experiences. I’ll now stop kicking myself over the peaches I didn’t even manage to buy, much less preserve; the last of the tomatoes that were tossed whole into the freezer; and the apples that will probably be eaten instead of sauced and canned. Believe me, we appreciate knowing that you’re human too! At the end of the season I always seem to be left with not enough of what I love and too much of vegetables that just keep coming whether I want them or not. Make sense? 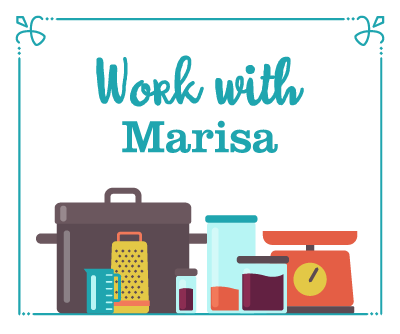 Marisa – Nov issue of Wholeliving – saw it right away – your contribution to the article Spoil Alert. 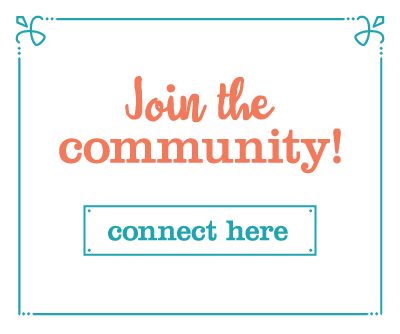 Living in the suburbs of Philly I enjoy reading your posts because I am familiar with many of the places you talk about. Love your book and thanks for passing on your genuine love of what you do. Nope, you are not alone Marissa. I actually took up canning years ago to combat waste. I abhor waste. Usually for me, it is someone gifting me a large amount of something. So, I feel the need to take that large amount of something and make it into something useful for later. Right there with you Sandy and everyone else. It doesn’t get any better – I’m 66 and still over-planting everything, figuring if a tomato plant up and dies, there will never be enough. Ha! They multiply like rabbits when you’re not looking – there’s one grape tomato plant in the garden that is still producing at least 50 ripe red little fruits every 3-4 days, like the proverbial Energizer Bunny. That said, 26 pints of stewed tomatoes, 10 more of salsa, 10 of green (tomatillo) salsa, 24 of applesauce, several jars of mango chutney, not to mention all the berries in the freezer awaiting jamming, this old gal is weary of seeing that canner in the kitchen this year. There are only two of us … There are still beautiful jars of last year’s efforts to use up. We figure, if the famine comes, we’ll eat brown rice and condiments! I feel your pain. I grew up learning that I COULD do all these things, but not really getting the message that COULD and CAN are always aligned in timing. (This after staying up until midnight to concentrate some last of the season tomatoes into tomato paste.) We just need to let go and say “maybe next time”. But weren’t they delicious when they were here! Well, you have two more pints of tomato sauce than you had! And, no, you’re not alone. Time, moisture and funkiness get the best of me, too. The best laid plans are usually the ones that have you scrambling in the end, no? We have a very nice produce market in town that’s open Thurs. thru Sat. and on Saturdays at closing time they auction off all the produce that is left from that week. Sometimes very good deals abound and on such occasions my purchases tend to out way my ambition but after more than a few times of feeding boxes of what used to be beautiful produce to my chickens I have learned to weigh my purchases against my ambition and have tried to keep my purchases to a less wasteful level. My chickens aren’t as happy but my purse sure is. I have done the same thing. Because of my work schedule, I sometimes cannot to the growing number of tomatoes until a week or two later. What I end up doing is freeze the tomatoes whole or quickly cut them up, stew them and then after they have cooled, stick them into the freezer until I have a day or two to cook and can them properly. Maybe you could do the same if you run into the same problem in the future. Happy canning! I have definitely fallen victim to canning guilt, but usually it’s my LACK of canning that does it. Before having children, we were able to can at our leisure – never enough to see us all the way through the winter, but enough to have pretty full pantry shelves. Now we are resigned to canning at night, at least until the kiddos are old enough to help. I often have to remind myself to chill out, do only what I can, and resist buying too much produce to can when I know I won’t have the time. yeeeeah, we can’t start to can until 11 at night. If we start around 8 after my son is in bed, one or both of us are up til the wee hours. It’s crazy. I know it will be so much easier when the baby is older. I hope. For YEARS, I only canned after the kids had gone to bed. I used to think that if it was daylight, I wouldn’t recognize the canning kettle. I love the sentiment behind this. Right now I have a dozen quince slowly withering on my kitchen island. I’ve already made quince paste, and know I don’t need any more. No one wants them, and I haven’t gotten around to using the remainder (or even picking the ones left on the trees). I feel terrible about it, but know I’m only able to do so much. You could post on the free section of Craigs list or freecycle. Bet you could find someone to come pick the rest off your tree. Earlier this week I processed tomatoes and made jam. For some reason I forgot to 1) add acid and 2) use a chopstick to get the bubbles out. While the items turned out ok, I don’t like having doubt about whether something will keep/has a low enough pH. And those air pockets- geezzz! I need to put a sticky note on my forehead. I feel your tomato anguish Marisa. I can’t pass up the offer to “pick as many as you want!”, or go through the vegetable bin after volunteering to take whatever I want. Just yesterday I gave away several pounds of tomatoes. I’m curious- do your tomatoes/sauce float up leaving liquid in the bottom? 3 weeks ago it was one of the fruit vendors last days at a farmer’s market we go to occasionally. I’ve only just started canning, and had only pickled peppers and canned about 40lbs of tomatoes at this point.. but ended up buying 25lbs each, Pears and Peaches. I canned a few of the peaches right away.. and they weren’t ripe enough. So, I let them sit… and sit too long. Other things came up, and by the time I remembered the peaches, about 1/3 of what was left had to be thrown out. Couldn’t even salvage em! That was pretty disappointing. Lesson learned there? Don’t take on more than you can handle.. and as a newbie canner, that’s not a whole lot. I had 75lbs of tomatoes, some peppers, and the aforementioned fruit all come in within 3 days to deal with. Oops. As a side note, is there a way to prevent canned peaches from floating? Even a little? The few jars I did do (the rest got made into butter) – the peaches are all floating up as high as high as they can get! You can pack them in pretty well, not so they’re squished of course. 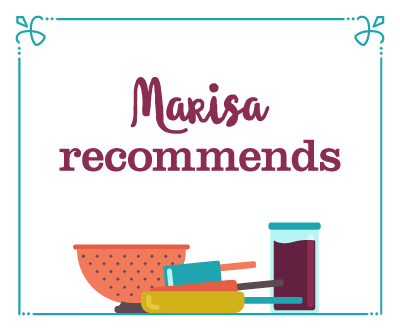 Also Marisa recommends using regular mouthed jars. That way the ridge of the jar can help keep the peaches (and pickles and beets oh my!) submerged in the delicious syrup! Oops – I should have refreshed the page! Thanks Jennifer. 🙂 I bought regular mouth jars just for the peaches – I guess I was just too worried about squishing em. I didn’t think of it, but since you mentioned the beets.. I just got some yesterday from our CSA.. perfect use for em! Hrm.. I think your comment above kind of answers my float questions! I thought I packed the peaches tightly.. I was worried about squishing em, but I guess not. Lisa, couple more tips! I’ve found with peaches that if you use a heavier syrup, they won’t float as much. Also, make sure to heat them thoroughly with a hot pack because that lets the air bubbles all out. Joel at WellPreserved uses a “seatbelting” technique to prevent fruit float that I’ve had some success with: http://wellpreserved.ca/2009/09/14/how-to-stop-pickles-and-fruit-from-floating-when-preserving/. I’ve even used cinnamon sticks as seatbelts, which have the added benefit of making the syrup super yummy! Thanks Stephanie! I love the idea of using a cinnamon stick as a “seatbelt”. That’s awesome! Gah, I feel your pain. This summer being my first foray into canning, I went nuts. I wanted to can EVERYTHING as it came into season. By the time August came and we were going on our holidays for a month, I was still in canning mode, thinking I could do it all and squeeze everything into a jar that August had to offer. I lost it on peaches and tomatoes and the palermo peppers for my salsa. I haven’t canned since. Defeated. But, what do we do when that happens? We wait for the apples and sing “Hallelujah!”. Redemption is coming! The most recent life lesson I learned from canning is the meaning of “too much of a good thing”. 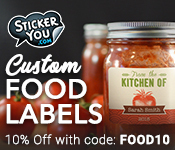 In my case – TOMATOES! I have put up 58+ quarts this year from my garden – I think I should be done! 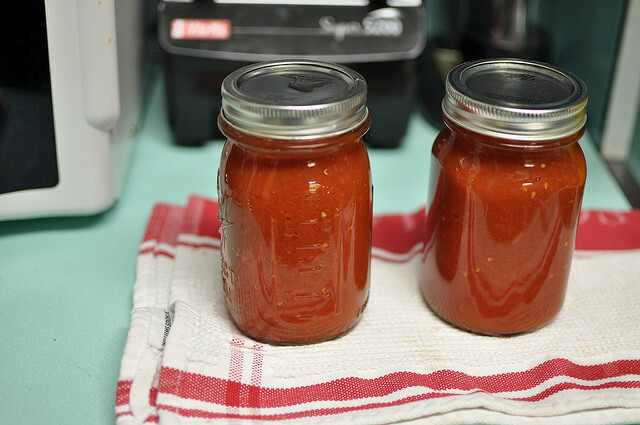 Of course, I am still thinking about making pizza sauce in those little 1/4 pint jars from Fillmore Container – just the right amount for one pizza……..hmmmm…….I think I am obsessed! I hate to waste even one little morsel of anything but when some of my veggies go bad they go in the compost pile. At least I know I can use them to help with next year’s garden. It has been crazy. We have a toddler and a baby and my husband is in graduate school. We have food rotting on the vine in our garden and we never do make use of our CSA the most effective way. We have canned, but it is just so hard this summer. We( by we, I mostly mean my husband because the baby needed me) canned fruit ketchup, tomato sauce, peach butter and jam, pickles,and some peach salsa. No way did we do as good a job as we could have. But this is only our second year canning, so hopefully next year will be better. We still have the apples to do and fig jam and some odds and ends for Christmas along with using up about 20 jalapenos from our garden. UGH. My herb garden is super prolific this year too. What a waste. I’ve bitten off more than I can chew a few times this summer with our CSA — not only am I learning how to deal with vegetables I’ve never preserved before, I’m having to learn how to do it in nap-sized chunks of time. I’m loving the roasted/blended salsa recipes as opposed to the chopped-and-simmered ones, even if the heavy-on-the-chopping apple salsa I made is delicious! I’m 59, I’ve been canning for 30 years, and I STILL do this. This year it was the cucumbers. 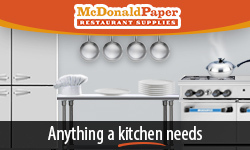 I really was going to get those pickles made right away. Then the quarter started (for me, now, instead of the kids), and the professors don’t always buy the argument that I can’t do my homework, I have canning to do. So the chickens get the dead cucumbers, and I get the guilt. But next year! There’s always next year! I had a bit of a tomato glut this year so I’ve been throwing them into the freezer as soon as I get them. While the texture is off for eating raw once they have been frozen, they still make great sauces, and the skins peel right off those suckers. Of course now my freezer is full and the tomatoes keep coming, I am now all but begging for the frosts to come and kill off my plants so I can stop picking with a clear conscience. I read the article but where are you located? Somewhere warm? Everything is done here, we are supposed to be in the 20’s tonight. All my tomato canning has been done for at least a month. The green are all in the house gradually ripening. I have heard sauce called gravy when it has meat in it. I am firstly a freezer-loving cook, so when in doubt about my ability to put it up in time, I tend to throw things in the freezer. Unfortunately there’s a cow in there now, so less room than I’d like for vegetables. I appreciate this site for holding my hand into canning with the certainty that I don’t need to can a giant batch of anything-2 pints is just fine. Thank you for that gift. You’d like to know my canning failures? How ’bout the radishes I grated and tried to ferment on the counter last week? After days of my spouse coming home and saying “something smells really bad in here” we narrowed it down to the radish jar. It’s still sitting on the back porch, waiting to go in the compost. One failure-turned-success was some peach jam I finally made from peaches I sliced and froze 2 summers ago. I moved those frozen peaches across 4 states before making jam. I went through a similar dilemma recently with some plums…I bought a bushel wth intentions of doing so many recipes with them, but with working full time I just wasn’t able to get to the plums before they started to go bad…still did some lovely recipes, but had to throw a lot away, and wished I had bought a smaller amount. Lesson learned! I still feel bad about a big bag of beautiful, delicious pears a friend gave me from her tree last year. I brought them home with every intention of canning them, then put them on a shelf in my closet to ripen and proceeded to procrastinate until they were mushy globs all over the shelf. Such a waste, and they were truly delicious too! No chance of getting another bag as my friend has moved from that house now. I’ve tried to be better about getting things processed this year, but nearly had the same thing happen with a basket full of tomatoes from my garden this summer, and I have not gotten enough from my tomato plants to make that acceptable. Now I make sure I set a time for canning when I buy/harvest my produce, no matter what else is going on! Marisa…..something you said a while back rings true today….”Don’t be so hard on yourself…forgive yourself”….everytime the beet jelly pours out like syrup I remember your words of wisdom! thanks for your great ideas! My garden is still producing. So tomorrow I’ll be makng another batch of tomato sauce (I’ve canned whole tomatoes, crushed tomatoes, sauce, two patches of frozen puttanesca sauce, salsa, pressure canned vegetable soup, pickled cherry tomatoes) and they still are coming on. But this should almost be the end. Will do more beans and make some pumpkin butter. 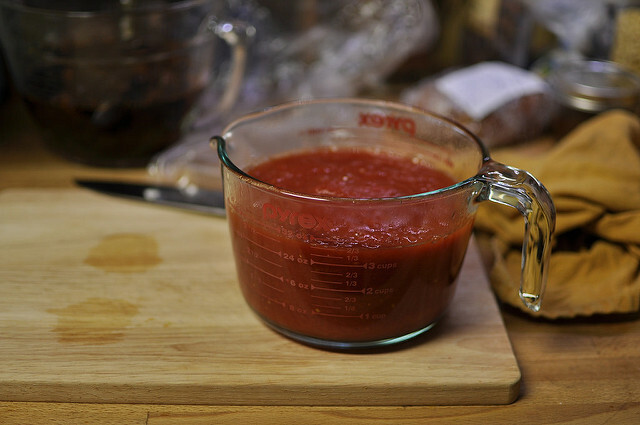 One way to get rid of lots of tomatoes is to make tomato paste. Lots of cooking time! I used about 12 pounds last week and ended up with four small containers for the freezer :). One thing I did this year was recycle a lot of jam I’ve made over the last two years that didn’t get eaten into fruit leather. I have to thin it down a bit and the taste is sweeter than I usually prefer, but at least it has a better chance to get eaten. 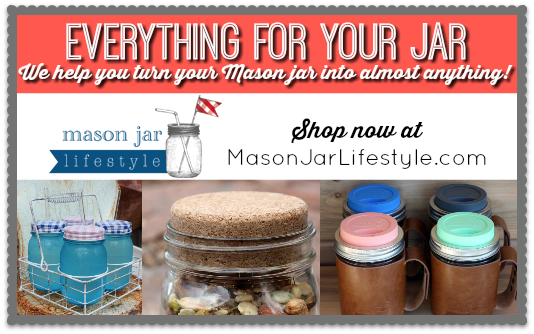 And it frees up my jars for more canning…. Totally appreciate you do this too! 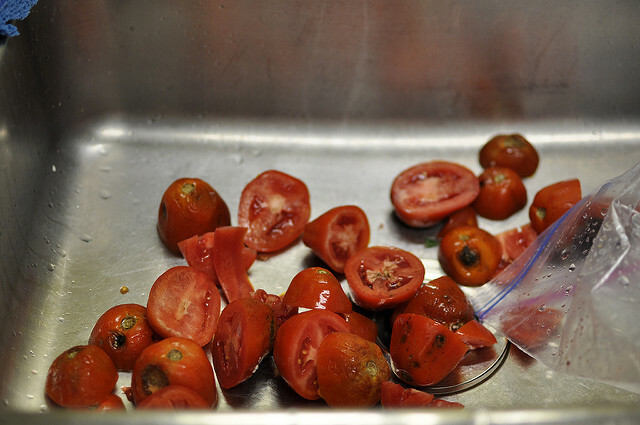 I bought a 25 lb box of 2nds (tomatoes) this weekend–and wound up using all my free time yesterday rescuing the remains because I forgot to prep it earlier. Two years ago in August just as my kids were setting off to school I purchased 80#’s of peaches and stored them in the fridge so I could get to them over the weekend. Of course the first weekend after school started I was busy with meeting the other parents in the class, setting up future play dates with the kids, and shopping for last minute school supplies and clothes. I completely forgot about the peaches. When I finally got around to them – 2 weeks later – many on the bottom of the boxes had already begun rotting. Yikes! I now put a big note on the front of the fridge letting me know what I’ve got in there and how soon I need to can. I frequently have the same problem with fruit/vegetables spoiling before I can put them up. Knowing that I have this problem, I try not to buy anything unless I am going to can it that day. This doesn’t work for some things that need to ripen, but I find I throw away less. I have been trying the maceration trick for small amounts of fruit lately (cut up fruit and place in container with lemon juice and sugar in the refrigerator). Has saved some waste lately.